After almost three months of hard work we are proud to release a new FREE UPDATE for your Crumar Mojo (and Hamichord) that will totally revolutionize the sound and the feel of your instrument, and will extend its already immense customization possibilities. 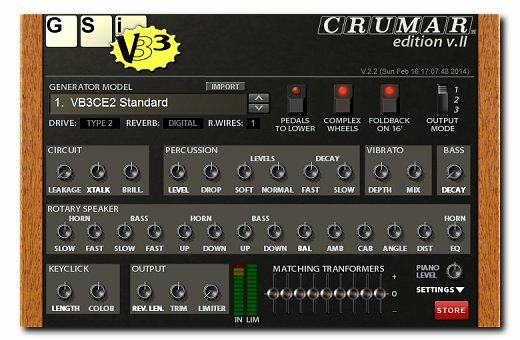 No other digital tonewheel emulation provides a comparable level of realism and personalization as offered by the powerful VB3 Crumar Edition version 2.2. If you already have a Mojo, you can't miss this important update. And if you still don't have a Mojo and feel undecided on which clone organ to pick up, well... your search is definitely over. Enough, stop reading and click the news link to jump to the Support page, the update file is called Mojo Update February 2014 - 6,63 Mb, inside you'll find all necessary files to push your Mojo (or Hamichord) to the next level, where no one else has ever been before. Click the image on the left and... Enjoy!